Kitchen appliances aren’t the biggest expense of a full-blown kitchen remodel — but they are close. Each new large appliance — to include your refrigerator, your range and oven, your dishwasher and potentially a built-in microwave — costs at least a grand, and that’s for a low-end model that might not last. 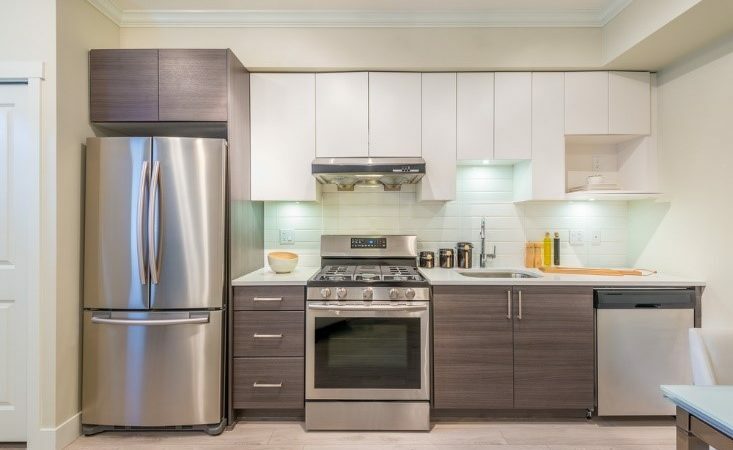 If you want top-of-the-line appliances, you should expect to pay between $2,000 and $5,000 each. But what if you want the look and feel of high-end appliances but can’t afford the cost? Fortunately, you have a few options. Are Your Appliances Old or Breaking Down? Just because you want to replace your appliances doesn’t necessarily mean they are old or dysfunctional in some way. However, if yours are, you might be able to acquire financial support in acquiring replacements. 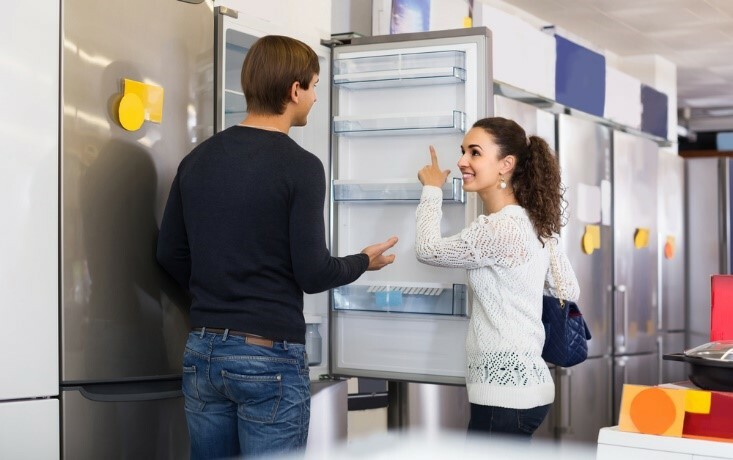 Appliance warranty plans guarantee that your appliances will function appropriately; they pay for service providers to repair broken appliances, and when necessary, they will cover some costs associated with purchasing new appliances. So, how do you know if you have an appliance warranty plan in place? First, you should check with the appliance manufacturer. Most manufacturers provide warranties for one to two years, and some appliance retailers offer additional years onto that warranty. However, if your manufacturer’s warranty has certainly run out, you can also acquire a home warranty, which should protect your appliances against general wear and tear. A home warranty is an excellent investment if your appliances truly are old, on the fritz and need to be replaced ASAP. Can You Create the Look Yourself? New hardware. Just as installing new door and drawer pulls on your cabinets completely changes their look and feel, swapping out the regulation handles on your fridge and oven can breathe new life into them. You can find unique appliance pulls online for much less than you would spend on a totally new appliance. Paint. Absolutely, you can paint your appliances the way you paint your kitchen walls and cabinets. However, not any paint will do — you need appliance epoxy paint, which provides a smooth finish that resists heat, moisture and other common paint threats. If you want a wild color, you can substitute regular spray paint and finish with a clear enamel gloss protective spray. Stickers. Perhaps the most expensive appliance craft — but also one that has the biggest potential to change the look of your appliances — vinyl stickers can make your appliances look like new. These stickers come in finishes like wood and stainless steel, which are difficult to fake with paint, and they are easy to apply yourself and keep clean. However, it’s important to note that you get what you pay for with appliance stickers, so cheap options will likely look cheap. Usually, crafted custom appliances will work in the interim, as you save money to purchase new models, but they probably won’t look good for eternity. You should keep this in mind, so you don’t overspend on what should be quick fixes. Can You Wait for the Best Deals? As is the case whenever you are making a large purchase, you should try to avoid rushing to buy. You might be excited to get new appliances for your kitchen, but you shouldn’t allow your excitement to cloud your judgement or make you impatient for deals that can keep you under budget. There are two times of year when appliance retailers massively mark down their stock: January and July. It is during these months that manufacturers roll out new models, so sellers need to clear their inventory to make room for the latest-and-greatest options. If you can, you should wait for these times of year to shop for new appliances. Then, you’re likely to get amazing deals on top-of-the-line appliances that are likely to last you well into the future. Appliances are expensive, but that doesn’t mean you should spend your life savings on them. With diligence and patience, you should be able to find excellent appliances for your home at even more excellent prices. Brenda Fisher is a loving wife, happy mom and a lady-entrepreneur. This blog is a place where like-minded people connect. Let’s help each other build strong families and develop creativity in our kids. Want to say hello? Feel free to drop Brenda a line here.